Life most certainly does not stop when you retire, in fact, for most people – it begins afresh. It’s for this reason that an increasing number of people are choosing to spend their retirement abroad as a way to relax and forget the stresses of their working life. International Living has compiled a comprehensive list to help future retirees decide where the best places are in order to spend this well-deserved time. The list encompasses the requirements of most retirees: whether they are looking for a higher standard of living for less; to turn their world upside down and explore new people and places or simply just to experience a relaxed, easy way of living. Here is a breakdown of some of the countries that International Living have deemed the ten best to live when you are retired. Countries in Central and South America appear most frequently on the list of ideal choices for living out retirement, primarily due to the widely different environments, the climate and the pace of life. These factors have all been taken into consideration when assessing this part of the world as the best for the retired. It also seems to be the cheapest, yet most cheerful, place to live. 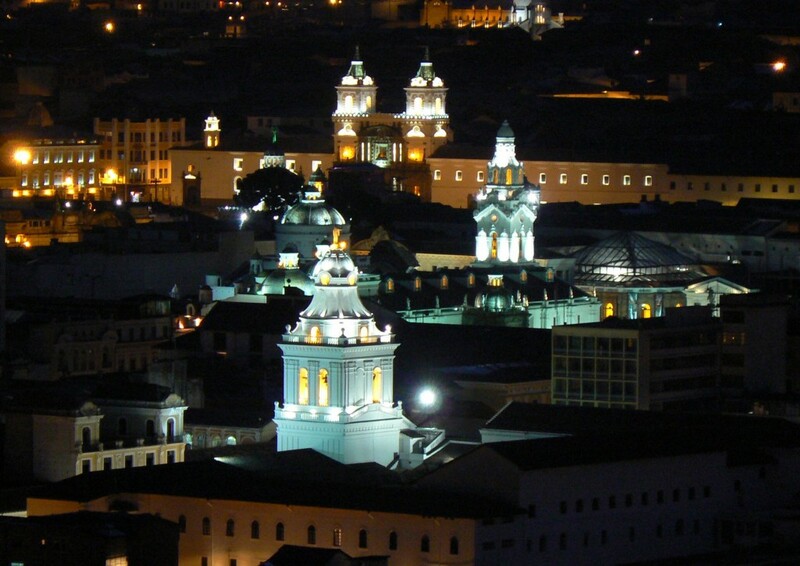 Ecuador is the country which tops the list for 2015, and consistently does so. It isn’t just Ecuador’s diverse landscape which offers something for everyone, not many places can boast jungles, snow-covered mountains, beaches and bustling cities, all within driving distance. Ecuador also delivers incredible benefits which are tailored specifically towards the elderly, such as a 50% discount on international airfare which is ideal for those trips home. Public transport and cultural activities, including the cinema and sporting events, are also heavily discounted. This leaves the retired populace plenty to do with their time and plenty of disposable income to do it with. Property prices in Ecuador have been increasing over the past few years, however renting and buying property remains markedly less in Ecuador than in most places in Europe and North America. The older we get, the more we have to look after our health, and this is another reason why Ecuador is top of the list, as it offers inexpensive and high quality healthcare. You can visit the Just Landed website for everything you need to know about living in Ecuador. Panama, a close second to Ecuador, has everything to offer the retired expat, and the biggest thing it has to offer is its variety. Panama has tropical beaches with flocks of interesting and colourful birds everywhere you look; it has wonderful mountains and vibrant rainforests. Despite the array of tropical environments, another pulling factor of Panama is its hurricane free climate. It’s warm and sunny, and stays so all year round. On top of the natural beauty at every turn in Panama, it also boasts Panama City, where you can get culture and cuisine to rival that which you are used to in your home country, at a fraction of the cost. Panama also incentivises the older generation to set up camp in the country: as long as you can prove you have a pension of as little as $1,000, then you are eligible for residence within the country and will also receive the best of medical care at heavily subsidised costs. You can visit the Just Landed website for everything you need to know about living in Panama. International Living tends to cater for retired individuals coming from North America, and for this reason perhaps, there is a disproportionate number of countries hailing from South America, as it is not such a long way to travel home if necessary – something which is a consideration when moving abroad. So, if you are thinking of living in a European destination, which will offer more developed infrastructure and stability, Malta, Spain and Portugal make it into the top ten list at sixth, seventh and ninth respectively. Malta is seen as a hidden gem of the mediterranean and is perfect if your idea of retirement is peace and quiet. It is a former British colony and still retains many of the quaint British landmarks which have long since disappeared from modern Britain. One of the things which makes Malta a popular choice among retirees is the lack of a language barrier as most of the people on the islands speak English, and there is little culture shock as it is primarily a British way of life. 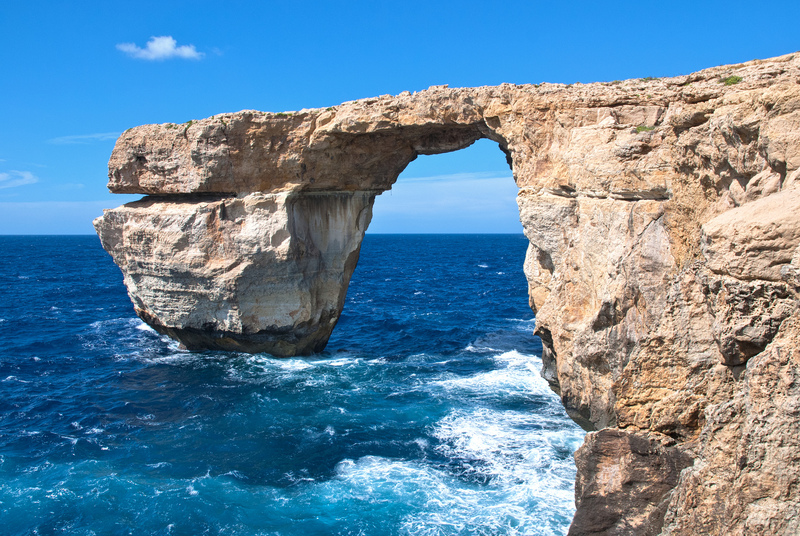 Malta is welcoming retirees with its Malta Retirement Programme. Those who take up the MRP benefit from a tax rate of 15% on any income from outside Malta that is then received in Malta. Applicants fr this scheme must an EU, EEA or Swiss national. To qualify for this scheme, it is necessary to purchase or rent a property in Malta. You can visit the Just Landed website for everything you need to know about living in Malta. Spain is considered as one of the most desirable places to live in Europe, as it has so much to offer at comparatively low cost to much of the rest of Europe. The north of the country, from Galicia to Cantabria offers beautiful, rugged, Atlantic beaches and abundant greenery which is in stark comparison to the des ert of Almeria, or the snowcapped Sierra Nevada or Pyrenees which are perfect for skiing. In Spain, you really can have a little bit of everything. Spain offers a famous mediterranean cuisine and has a rich and diverse history which is apparent in the architecture and culture of every city you visit. 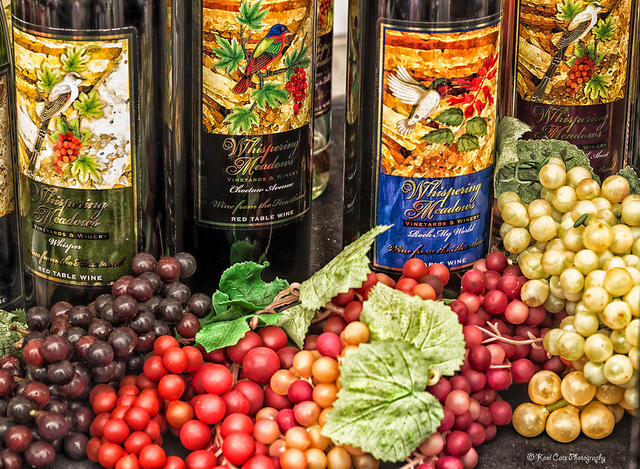 Every town has its own festival so there is always a party to attend if you so desire. Additionally, there is a large community of retired expats on the east coast (Costa del Sol), yet they can be found dotted all over the country. English isn’t widely spoken in Spain, especially in the smaller towns and villages, although this is changing. 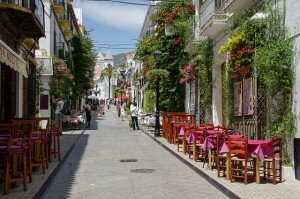 You can visit the Just Landed website for everything you need to know about living in Spain. Portugal, Spain’s neighbour, is not as popular a retirement destination as Spain, and herein lies part of the charm. If you don’t wish to be surrounded by other expats, yet still soak in an Iberian culture and excellent weather, then perhaps Portugal is the country for you. The cuisine, culture and climate make Portugal an excellent choice and although the cost of living is a little higher than in Spain, the property prices are markedly less, something which further adds to its desirability. Good news for those thinking of retiring to Portugal as you could benefit from the new Non-Habitually Resident regime, which applies if you have not been a tax paying resident in Portugal over the past five years. This gives you tax exemption on foreign income sources which includes interest, dividends, employment income, rental capital gains and pensions for the first 10 years of a residency. 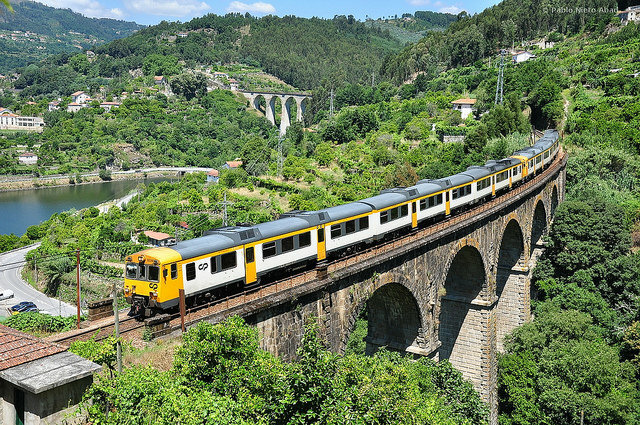 You can visit the Just Landed website for everything you need to know about living in Portugal. Malaysia and Thailand are the two Asian countries which make it into the top ten of the best places to spend retirement. Malaysia has one of the strongest economies in Asia and this is displayed in the infrastructure and way of living in the country. It is becoming increasingly popular among expats and as English is widely spoken, fitting in never seems to be a problem. The cost of living is still incredibly low and the country itself is fun and vibrant, finding something to do to pass the time should never be a problem. Property prices are low, yet renting is even more affordable: spacious and luxurious apartments are available to rent at dramatically low prices. 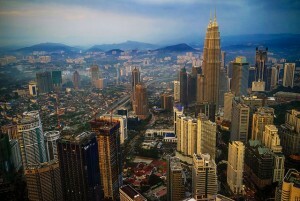 You can visit the Just Landed website for everything you need to know about living in Malaysia. Of the ten, Thailand’s healthcare is among the best,and as quality healthcare can be sourced for competitively low prices, for this reason many people are choosing to visit Thailand as medical tourists. 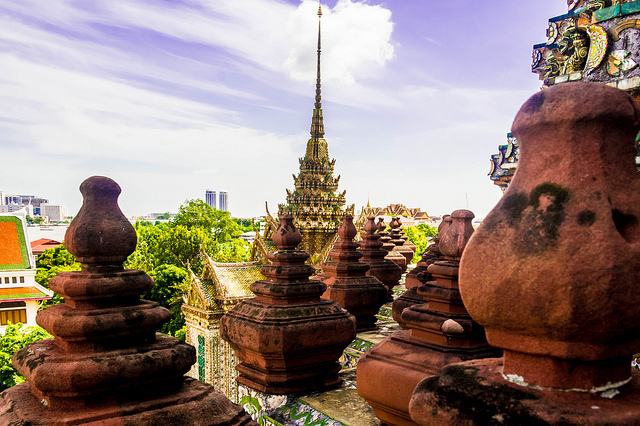 Chiang Mai and Bangkok are two of the cities which are most popular with expats, yet other towns and cities are also seeing an increase in the number of expats. Thailand is considered one of the best countries for ease of integration with the locals and the culture, due to a highly westernised society. You can visit the Just Landed website for everything you need to know about living in Thailand. It is reassuring to note that the information used to create the list is reliable and not gathered arbitrarily as much of the weighting is based on the testimonies of many retirees who have already decided to live their twilight years abroad. When choosing your country of choice, make sure you research painstakingly so as not to encounter any hidden and unwanted surprises. 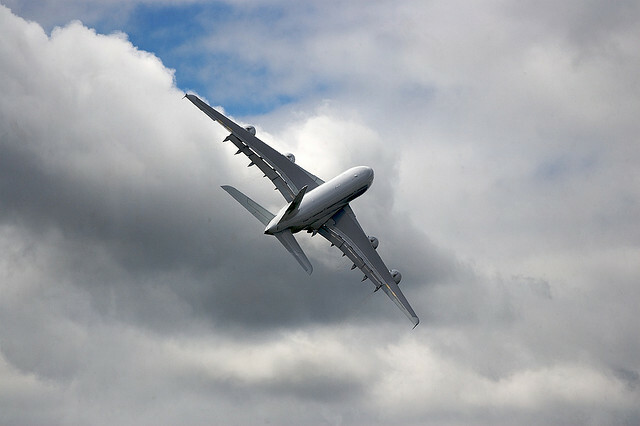 At we can answer most of your expat queries. It is important to know what you want to gain from your move: what type of retirement are you looking for? Do you want to relax on the beach; would you prefer to integrate fully with the locals and start a whole new life, a whole new you? Or perhaps you are eager to set up a business in an effort to remain busy, or maybe learning a new language and immersing yourself in a new culture and history is enough to keep you entertained! Some people do wish for a home-from-home experience and in this instance, it is a good idea to find out where the expat communities are and see if you can integrate with them, and ask pertinent questions before you even make that big move. Many expats will tell you that they choose their country after having sampled it for several months first, before selling up in their home country, this could be a good idea if you’re not sure exactly what to expect from your move abroad. Spending time in a potential location anywhere from one month to six is usually a good idea, in order to get a feel for the lifestyle and see if it’s what you hoped to gain from your retirement. New flexible pension rules mean expats may be able to benefit from generous tax legislation in popular retirement destinations. Read more about this new legislation here. So, wherever you decide to go, enjoy it – you’ve worked for it! Always remember that we’re here if you have any doubts or questions needing answers!